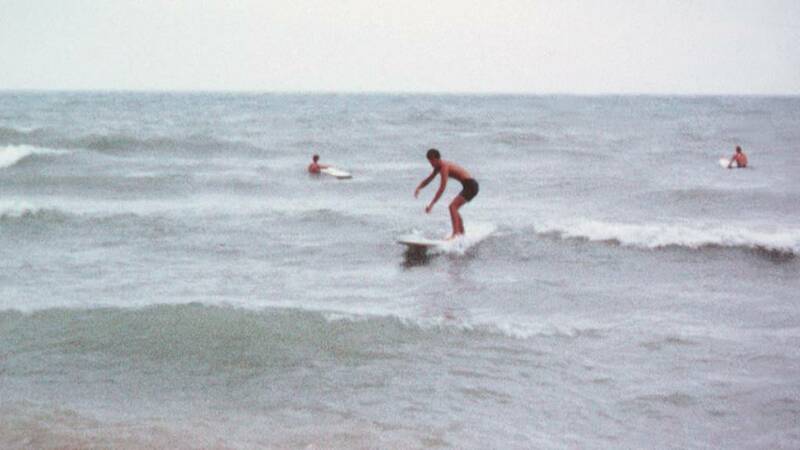 Thought you might like to see a pic taken in July 1969 off Winnetka, Illinois. I'm the skinny, dark-haired surfer. I believe the blonde guy is Mark Mathieson, who now lives in Australia. And the other dude is Bob Miller, who was my regular surfing buddy. Check the size of those monster waves! Good thing we were all on longboards.